Winners of the 2018 Cutest Furry Co-Pilot Contest! With A THIRD of the vote, our winner is Molly! 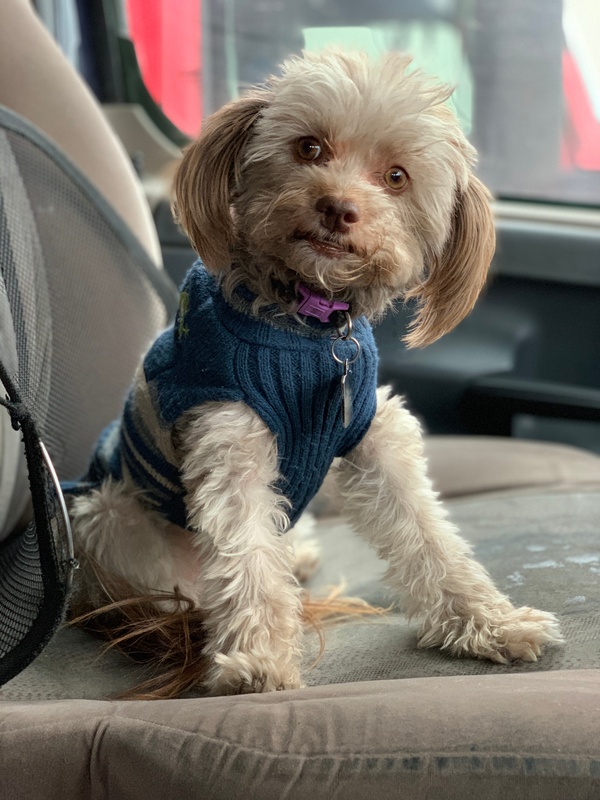 This adorable pooch is co-pilot to Aaron! Aaron loves that Molly is a sweet companion on the road. Congratulations, Molly and Aaron! We will be in touch soon to get you your $200 prize! In second place, with 21% of the vote is Brandy! Brandy is Andy's dog. She is a sweet girl who is a great listener and loves playing ball. Congratulations, Brandy and Andy! We will be in touch soon to get you your $100 prize! In third place with 13% of the vote is Cooper! Cooper is a black lab and great dane rescue who now lives in the lap of luxury out on the road. 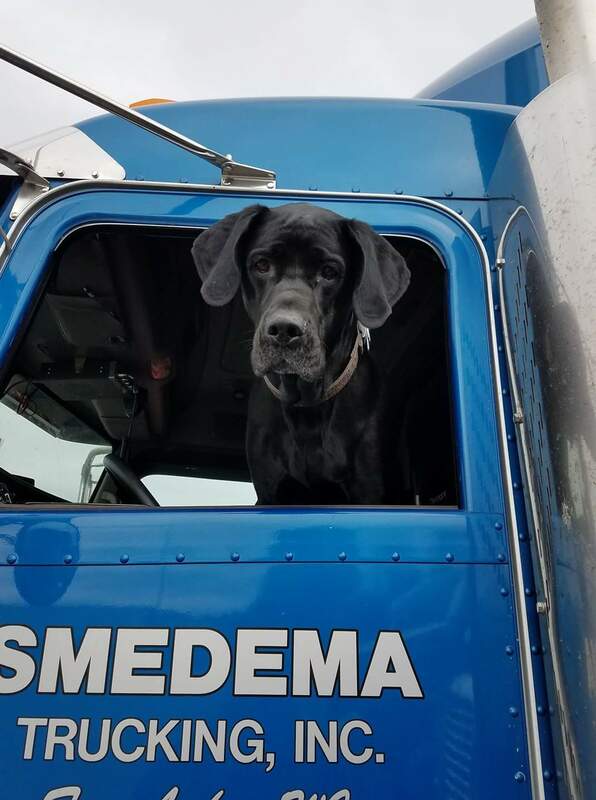 His owner is Ryan who said that Cooper always loves going trucking! Congrats Cooper and Ryan! We will be in touch soon to get you your $50 prize! It was so fun seeing all of these amazing pets and laughing at their antics. Pets definitely make life on the road a whole lot more like home. 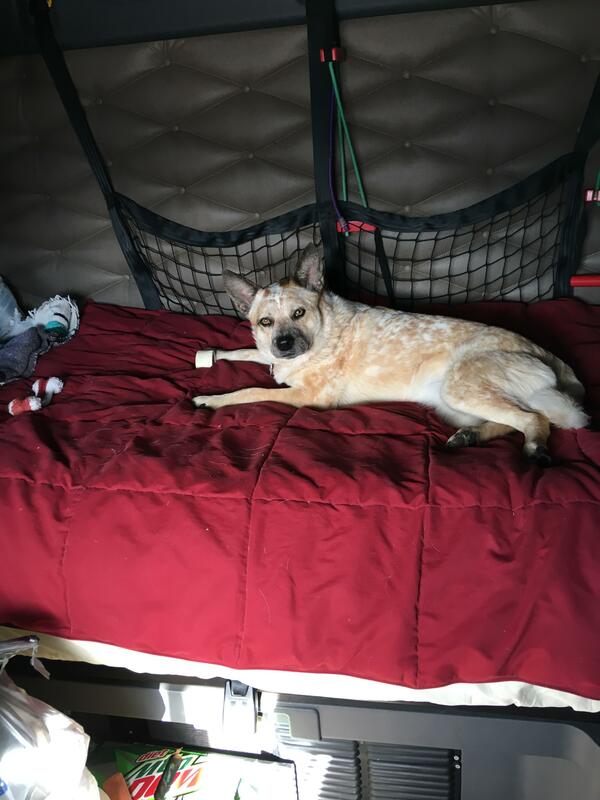 There are tons of benefits to bringing pets on your trucking jobs. If you're thinking about getting a pet check this out! Did your favorite pet win? Let us know in the comments below! Are you interested in learning more about our unique and fun culture at K&J? Click below!